Transparency is one of those workplace trends that’s shaking up talent management in a big way. Employees are more frequently asking for and even demanding the sense of an open, honest work environment and employers are seeming to embrace the concept as well. One of the ideas that often goes along with a transparent workplace is the concept of transparent salary. It’s something increasingly common amongst technology companies and start-ups. The idea seems simple – everyone should know what their coworkers and company leaders are paid. It can seem like a fresh, innovative approach to many of the problems surrounding how employees are paid including overinflated executive salaries and perceived racial and gender disparities. 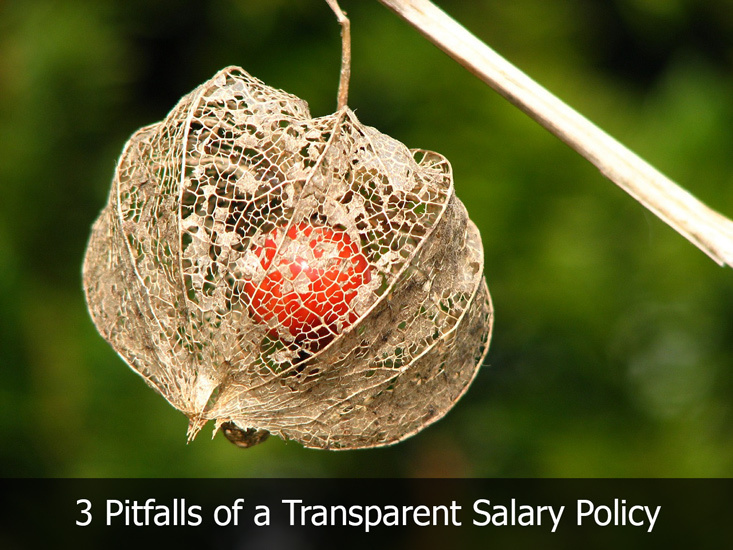 Despite the advantages of the transparent salary concept, there is also the potential for pitfalls related to this particular pay model. Below are some of the most prevalent pitfalls, and solutions you can utilize to address them. There’s often a reason smaller start-ups and tech companies may be more willing to go with a transparent pay concept – they have less employees and a cultural environment where it makes more sense. 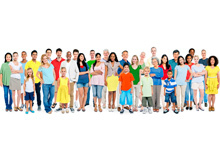 If you run a small business with a few dozen employees it may be completely practical and beneficial to adopt this style of paying employees but for a company with thousands of employees it can turn chaotic and overwhelming very quickly. While transparency in how employees are paid can be a bad logistical fit, it can also be problematic in terms of your company culture. Your culture may not be one that jives with the idea of everyone knowing how much the other earns. It may not even be something the majority of your employees want. Solution: Larger companies and ones that don’t necessarily have a corporate culture that’s totally in-line with salary transparency are instead opting to do things like releasing median numbers for departments. That gives employees the sense there’s openness and honesty but it also helps sidestep potential issues. It’s also important to note that older generations tend to be less comfortable with the concept of transparency than their younger coworkers. If you have a workforce with Boomer and Generation X employees who seem uncomfortable with the idea, gradually work into it by preparing them in advance for a move to transparency, or as mentioned above, go with a method like releasing median salaries versus specific, individual numbers. What About Those Outlier Employees? Here’s something else to consider when contemplating the move to transparency in pay – does your company have those individuals who at least appear to be making much more than they should for whatever reason? It may be that your company has an assistant who’s been there for decades and is earning significantly more than an entry-level executive. Perhaps you hired an employee with a high level of expertise in a certain area and in exchange for that expertise he or she is making more than their counterparts. These are all possibilities, particularly when your company has a long history and pay has been decided in various ways throughout the years. The Solution: If you’re determined to improve the level of transparency but you’re worried about those outlier employees, be prepared to explain how and why those employees are paid that way. As long as you can reasonably justify their pay and also have a discussion with employees about how and why compensation is presently decided, you’re going to have a better outcome. When there’s logic behind how people are paid it is less likely to spark those emotional reactions that can make transparency challenging. When transparent salaries are based on a pre-determined formulation, like at Buffer, a company we’ve profiled in the past, the problem can be a lack of morale and motivation. If an employee feels as if their salary is only being determined by a strict formula there’s little incentive to excel. It can be difficult to include in a formula all the contributions an employee makes within a company. Someone who performs extremely well may become frustrated by the sense they’re only earning as much as someone who ticks off the same formula boxes but contributes much less. The Solution: While you may not be able to make transparency function without a formula in your workplace, if you want to keep employees feeling motivated you should also clearly outline how employees can make advancements that will help them earn more. When you create a formula-based pay scale it should also include detailed guidelines that will help employees understand how they can progress and earn more. This is a good way to keep up morale and motivation even in the face of a very regimented compensation concept.